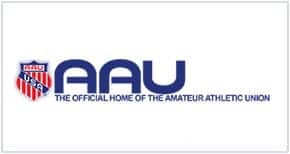 Volunteer Ambassadors are needed to support the Amateur Athletic Union (AAU) during the 2019 AAU National Club Championships for Track and Field at Walt Disney World Resort. The AAU National Club Championships are designed to place an emphasis on the team aspect of the sport. It is also an additional opportunity to qualify for the 2019 AAU Junior Olympic Games. The participants are boys and girls, ranging in age from primary school to high school. Volunteer Ambassador opportunities are available for start/finish line, field events, clerk’s tent and awards tent. Registration is now open. Volunteer Ambassadors are needed for the 2019 AAU National Club Championships for Track and Field at Walt Disney World Resort to support the Amateur Athletic Union. Print the waiver for MINORS and complete it. Please wear khaki or neutral color pants or shorts (no jeans or denim like material). We also ask that you wear closed-toed shoes for safety reasons. Volunteer Ambassador opportunities for the 2019 AAU National Club Championships for Track and Field will be scheduled on a first-come, first-served basis. Schedules are always subject to change due to event needs. All Volunteer Ambassadors must sign a waiver to obtain credentials and participate. If you are picking up a credential for another volunteer, please print the waiver and have it signed in advance by the participant. Volunteers under 18 years of age must have a waiver signed by a parent/legal guardian. Volunteer registration registration is now open.